Recent incidents between Chinese and Japanese warships and aircraft in the East China Sea have renewed interest in confidence-building measures (CBMs) to prevent potential conflict. The situation is getting serious up there: Japan alleges that a Chinese frigate locked its fire-control radar onto one of its destroyers on 30 January, following a 19 January incident when a Chinese warship aimed its fire control radar at a Japanese military helicopter. The Chinese have denied both incidents, but they are plausible enough, and might well have occurred—and could certainly occur in the future. This kind of situation is a possible path to an escalation that isn’t in anyone’s interest. Illuminating another ship or aircraft with fire control radar is risky because it displays hostile intent. It’s a precursor to locking on a gun or missile system, and could signify the intent to open fire. However, other explanations are possible. It might be an individual ship acting carelessly, perhaps even a radar operator acting without authority. Or it could be an intentional action to trigger an electronic response from the other vessel that might provide valuable signals intelligence (SIGINT). The 1972 US–USSR Agreement on Prevention of Incidents at Sea (INCSEA) is the best known CBM to prevent and manage an untoward incident between opposing maritime forces. Similar agreements were also negotiated between the Soviet Union and several Western European navies, while Russia later signed INCSEAs with Japan and South Korea. However, there’s nothing similar at present between China and Japan, or China and the US. The US–USSR agreement forbade ships from conducting acts similar to those that have been reported lately in the East China Sea. More specifically, article 6 of the agreement states: ‘Ships of the Parties shall not simulate attacks by aiming guns, missile launchers, torpedo tubes and other weapons in the direction of a passing ship of the other Party’. Negotiating a similar agreement between China and Japan, or China and the US, is problematic. This is because previous INCSEAs applied only to activities on or over the high seas, where much Cold War naval confrontation occurred. But in the western Pacific the waters where any regional agreement should apply are not high seas—they’re exclusive economic zones (EEZs). Negotiations would open up differing views about the rights of other states to conduct military activities in an EEZ without permission of the coastal state. The US regards these rights as part of customary freedoms of navigation and overflight while China adopts the opposing view, along with Malaysia and Thailand. All three countries have regulations that restrict the right of other countries to conduct military activities in their EEZ. Moreover, an INCSEA between the US and China might be unattractive to both countries. They might consider such an agreement as an admission that adversarial tensions existed between them. The Americans might resist elevating China to a status akin to the Cold War Soviet Union, and might also see it as a ‘slippery slope’ towards constraints on naval operations, particularly in an EEZ. Also, the Chinese believe that direct CBMs can only occur once strategic trust has been established. An agreement to consult, such as already exists between the two countries with the 1998 Military Maritime Consultative Agreement (MMCA) is probably the most that can be expected for the time being. 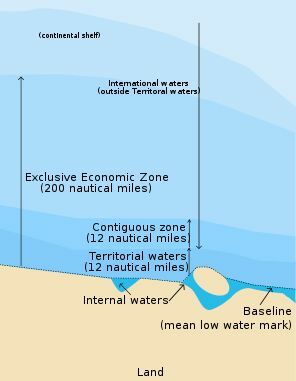 As an example of the difficulty in achieving these kinds of agreements, in the early 2000s, I was a member of a study group established by the Ocean Policy Research Foundation (OPRF) of Japan to clarify the rights and duties of coastal and user states in an EEZ. We developed ‘Guidelines for Navigation and Overflight in the Exclusive Economic Zone’ (PDF). The need for these guidelines was prompted by incidents such as the collision between a USN EP-3 aircraft and a Chinese fighter off Hainan in 2001. The OPRF guidelines are broad principles of common understanding regarding navigation and overflight in an EEZ, including military and intelligence gathering activities. One guideline requires ships and aircraft of a state conducting military activities in the EEZ of another state to refrain from ‘the threat or use of force, or provocative acts, such as stimulating or exciting the defensive systems of the coastal State’. We hoped that the guidelines would form an important CBM, but they haven’t been endorsed by any regional forum, and the US appears opposed to their concept. So the OPRF commenced work late last year to revise the guidelines, with a view to making them more acceptable to all concerned. Following the recent incidents, this work has become even more important. Operational CBMs are a priority for the East China Sea, as well as for the South China Sea. These include a common interpretation of navigational rights and freedoms in an EEZ and measures to prevent and mitigate the risks of an unfortunate incident between naval forces. However, it’s a shame that no regional forum has been prepared to take on developing these CBMs. Among the forums currently available, the Maritime Security Working Group established by the ASEAN Defence Ministers Meeting Plus (ADMM+) would seem most appropriate. Sam Bateman is a professorial research fellow at the Australian National Centre for Ocean Resources & Security (ANCORS), University of Wollongong. Image courtesy of Flickr user sam_churchill.